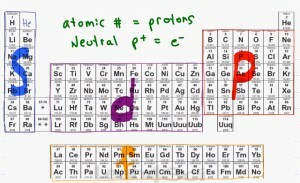 Topics discussed in this video include an explanation of electron configuration, how to find the configuration by looking at the table, and a quick example. Video 5 (Electron Configuration Part 2) will look at more complex electron configuration examples. This is Video 4 in the Intro to Orgo Video Series. Click HERE for the entire series. Thank you so much for making this video, I was very confused and now it makes a lot much more sense!!!! Glad to help Paul. How did your quiz turn out? where can i take the quiz?